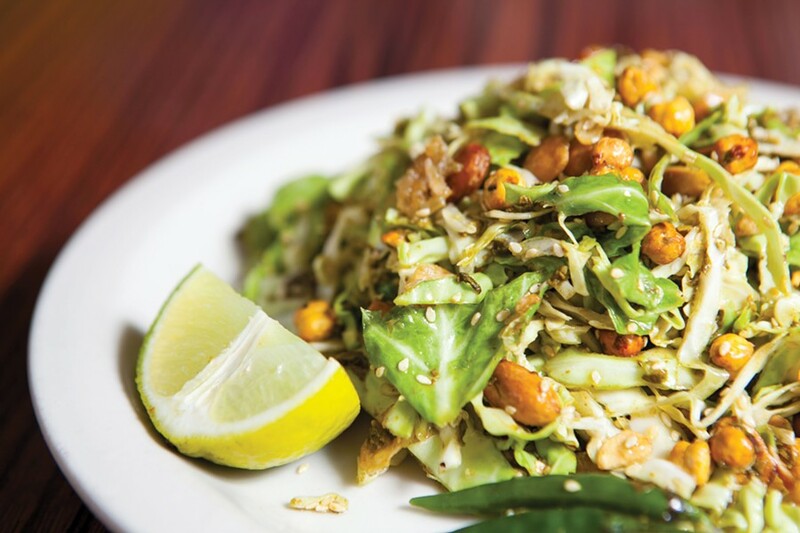 In 2015, former Express restaurant reviewer Luke Tsai praised a hole-in-the-wall Burmese spot called Grocery Cafe, formerly located on Tenth Avenue. He described mis-matched tables and chairs, and the feel of a church-basement potlucks. But he also championed Grocery Cafe’s “unexpected deliciousness,” urging readers to make the “extra effort” to seek out the off-the-beaten-trail spot. Sadly, Grocery Cafe closed at that location in November of last year, which meant good-bye to the beloved tea-leaf salad (pictured). But now, on Monday, when the celebrated Burmese eatery relocates in Jack London Square, at the former site of Hahn’s Hibachi. The new Grocery Cafe promises to offer all the favorites from its previous incarnation, including ohno khao swe ( or noodles with coconut chicken) and mon hin ga (rice noodles and chowder with fish). And, of course, the tea-leaf salad, which Tsai christened as the best in Oakland. Grocery Cafe, 63 Jack London Square, seek out @GroceryCafe for more details.